We don't know about you, but whenever we hear the name Aida, all we can think about is gentle waves lulling us to sleep while we lay on the deck on a sunny afternoon. The gentle breeze filling the sails will navigate the boat to a new place that we look forward to discovering. 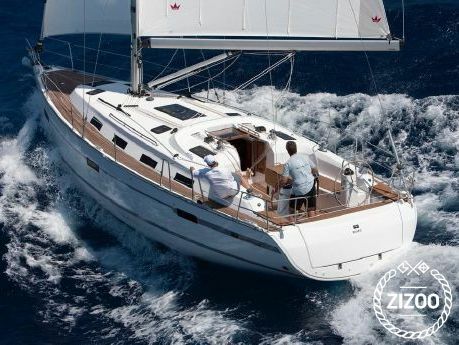 This best describes Aida, this 2012 Bavaria 40. Her large deck is perfect to lie back and surrender to that lullaby. If it's too hot to stay out in the sun, 3 double bed cabins and the saloon provide enough space for up to 8 people. You will find her classic but modern design quite comfortable, with elegant but practical interior that will instantly make you feel like home. Before you sail out from your base Trogir, make sure you have a snoop around, UNESCO had a good reason to put it on the World Heritage List! There's more impressive history if you head south, Korcula is the alleged birth town of Marco Polo. And you can't miss that when you're in the area, can you?